WHETHER YOU’RE A PILOT, a tactical flight officer, crew chief or medical professional, your first day of training included how to conduct a preflight. The Pilot Operating Handbook tells you what to push, pull, jiggle, and look over, while the Mission Equipment Checklist gives reminders on how to inspect the forward-looking infrared camera, medical oxygen system, and hoist. Then there’s the post-flight list, which is almost a preflight checklist, except it’s done immediately after landing instead of just before cranking. 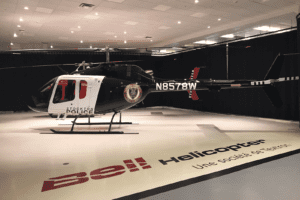 The post-flight checklist for helicopters under 12,500 lb tends to be relatively short and includes the no-brainer stuff, such as refueling, attaching blade tie-downs and filling out a squawk sheet for the mechanic. Come to find out, many flight crewmembers have a "between-flight" checklist. No, it isn’t written down, but is just enough of a ritual that it might as well be. Technically, a lot of what’s found on the between-flight checklist complements items that appear on a formal list elsewhere. Many others don’t appear on any list anywhere. Aircraft Inspection: Much to my surprise, the majority of the people I’ve flown with do not conduct a serious post-flight inspection of the aircraft. Those who did usually checked the sight glasses for oil levels and signs of hull damage, but didn’t open the engine compartment to check filter-bypass indicators or see if anything was dripping from a fitting that wasn’t dripping before. 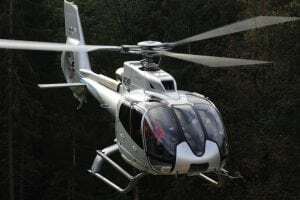 Personally, I like climbing up for a quick look at the rotor system, a habit I got into after landing with a bullet hole through a main-rotor blade that wasn’t there when I took off. I also turn the blades backwards or "lag" them a few revolutions while looking them over. Lagging the blades helps to slow the progression of coking, a build-up of carbon within the turbine’s labyrinth seals that can eventually bind the engine. Speaking of checking the aircraft, when was the last time your aircraft got a good cleaning? If you’re fortunate enough to have a maintenance staff that takes care of that, great, but there may be a big advantage to every crewmember lending a hand with that chore. Of course, a clean aircraft flies smoother than a dirty one, but that’s not my point. To really clean the aircraft well, you have to see every inch of its skin. Do that often enough and you’ll develop an intimate knowledge of what the norm is, thus making new hull damage and abnormalities, such as dents, fluid leaks, and loose fasteners, more obvious. On really hot days, I used to leave the clamshell engine compartment doors on the MD-500 open after landing. This helped coax the engine temperature down a little quicker between flights and make my next start easier on the battery. (The engine manufacturer’s technicians were split on whether this made an appreciable difference, but I did it anyway.) Besides, with the compartment open, I got another opportunity to spot engine problems that may have sprung up after my first inspection of the shift. Self Inspection: Back inside the hangar, most pilots log the flight in, describe any discrepancies for the mechanic to look over, then relax or do some administrative stuff before the next call. The problem is they may neglect to prepare themselves for the next flight. Aircraft Visits: This doesn’t apply to my friends with the Los Angeles Police Dept., whose base sits high atop a secure city-owned parking lot, but most everyone else has to leave their aircraft on the ramp of a general aviation airport or other place where people can get near it or toss a rock at it. If you can’t guarantee that your aircraft won’t be tampered with, go out on the flight line and pay it a visit every hour or so. Chances are it will be just the way you left it, but keep in mind that there are some folks out there who would take great pleasure in sabotaging a $2-million piece of publicly owned property. There are hundreds of things that can be added to a between-flight checklist. It has everything to do with the kind of service you and your aircraft provide, the equipment you operate, and your environment. And while nobody really wants to add another layer of official duties to perform, a personal to-do list might keep things running a little better and safer.